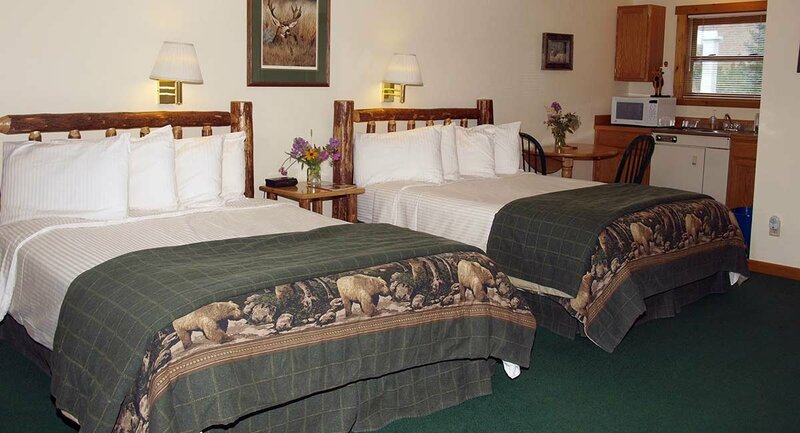 Luxurious for two and cozy for four, the Yellowstone Basin Inn has something for everyone. 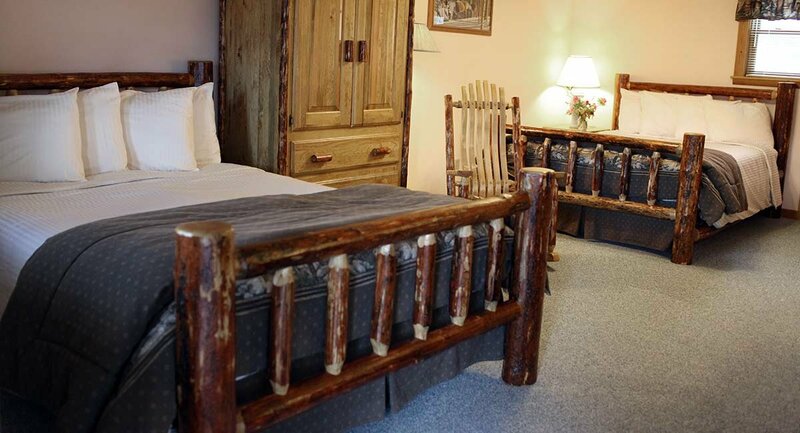 These rooms provide the comfort of two queen beds, graced with lush decor and rustic touches. The log furniture and rich colors lend to an overall sense of peace and relaxation. After a day of hiking and exploring the many Things To Do in Yellowstone and the surrounding area, take a load off, spread out and rest easy. More adventures await you in the morning. TO SEE MORE ROOM PICTURES: Click on "Check Availability" and then click on the Room/Suite Name under the thumbnail picture. There are several images for each room. The Maiden Basin is a comfortable, studio featuring two queen beds, eco-harvested log furniture and a kitchenette for your convenience. 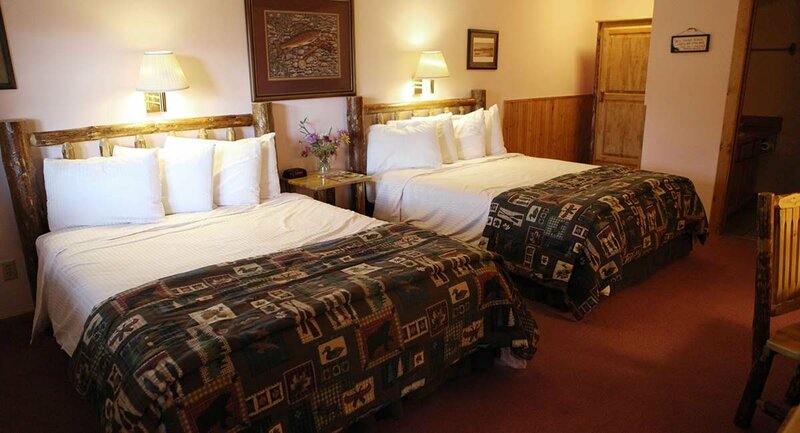 Priced for 2, it can comfortably accommodate up to 4 with an additional charge of $15 per person, per night. To see more pictures, click on "Check Availability" above. On the next page, click on the Room/Suite name under the thumbnail picture. There are several images for each room. 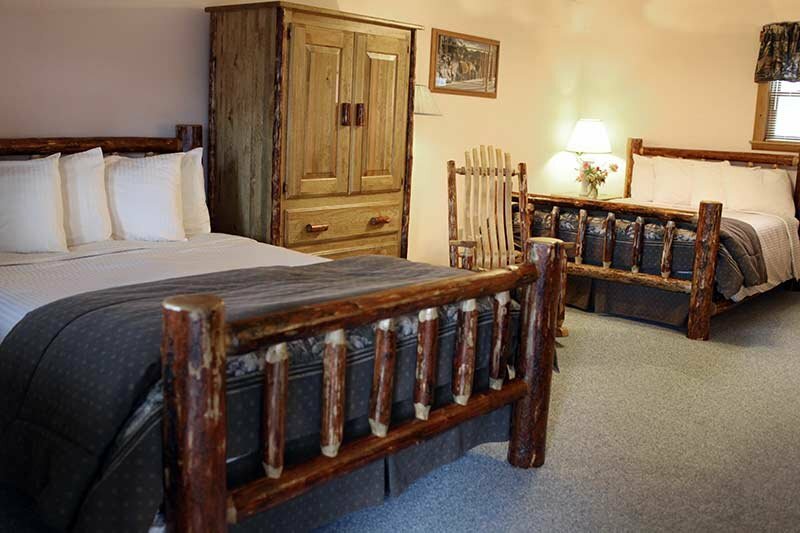 Double queen luxury awaits with well-appointed custom-wood decor and eco-harvested log furniture. 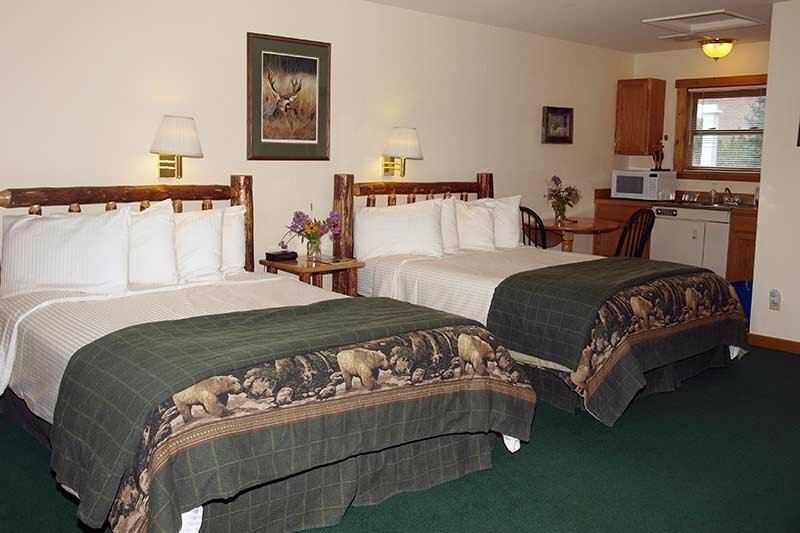 Spacious and comfortable best describe our Big Sky accommodations. Priced for 2, it can comfortably accommodate up to 4 with an additional charge of $15 per person, per night. 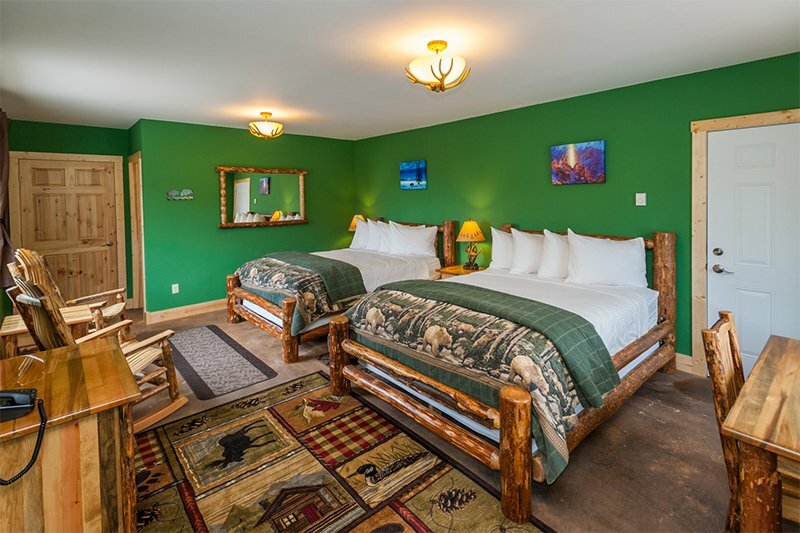 The quiet and comfy Rainbow Trout room is draped in the rich colors of maroon and forest green, two luxurious queen beds and eco-harvested furniture. Priced for 2, it can comfortably accommodate up to 4 with an additional charge of $15 per person, per night. The Valley View room is one of two newly remodeled rooms in the Carriage House. 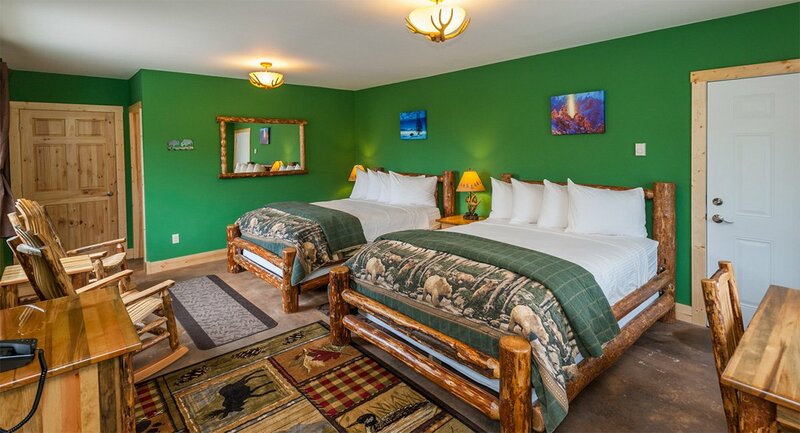 It has two queen size beds, with eco-harvested log furniture. It offers incredible views of the Paradise Valley. The Carriage House is located on the north side of the property, separate from the Inn's main building offering a bit more privacy. It can be rented by itself or as a connecting room with Gallatin View room. It is priced for 2, it can comfortably accommodate up to 4, for an additional charge of $15 per person, per night. We offer a discount if both rooms are rented for the same dates for 2 nights each or more. 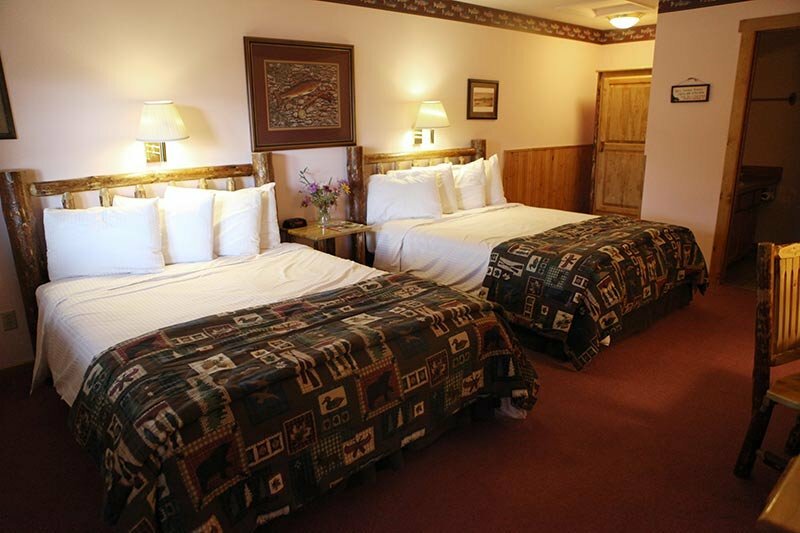 Please call us at 800-624-3364 or email us for more information at innkeeper@yellowstonebasininn.com.